Best Needlepoint Kits For Kids: That’s Sew Cool! 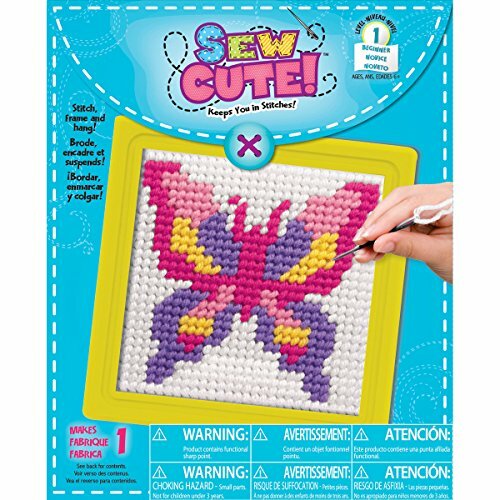 Best Needlepoint Kits For Kids: That’s “Sew” Cool! Do you have a child, or know one via friends or family, that enjoys needlepoint crafting? This is for you! Well, when I was a kid I was kinda apprehensive about sewing – after all, it involves using a sewing machine, which contained needles, and things I couldn’t make sense of like bobbins, presser feet and winding up thread. 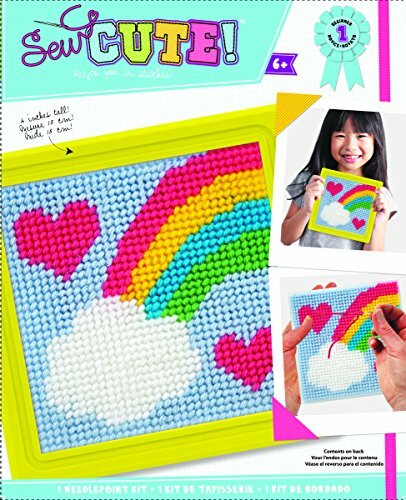 Best Needlepoint Kits For Kids: That's "Sew" Cool! Why Learning Needlepoint is Great For Kids? 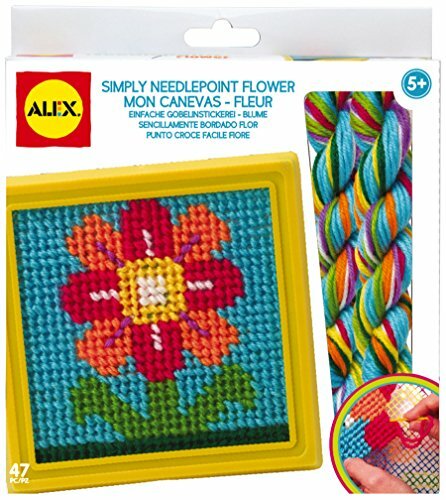 What Needlepoint Kits Are Best For Kids To Practice With? Let’s face it, learning to sew takes patience; even I haven’t mastered it fully. (You can read up on some of my snafus here. ) There are all these little intricacies that may be a little too advanced, even if you have a child who shows interest in it. Needlepoint is a great gateway craft to sewing for youngsters for that reason. None of that stress that came from things like threading needles correctly (I was actually very fearful of needles) and I could make the yarn equivalent of a horse, a unicorn, or something else cute that I got to hang up later! Our cross-stitch kits are more elaborate and would be too tedious for youngsters – they usually involve little needles, skinny threads and intricate looking designs. It’s always best to start with a needlepoint craft that’s a little less labor-intensive and easier to handle so your child will not have to struggle too much and get frustrated with the above factors. Simple designs – nothing too elaborate when your youngster is trying to master the learning curve. Cute designs – Cute child-friendly pictures will be a great incentive to work on this skill. The design color-coded onto the mesh – it will help them know where to tie off the last color and begin with the next one. Plastic needles – A non-threatening needle that’s a little larger, easier to handle, and stick-proof is a must! This kits here by Alex and Sew Cute are your best choices and fit the bill for everything in the list above. I had one just like these once with a unicorn on a blue background that I got to hang up when it had been completed. It probably took me a couple of days to do, a relaxing activity that is great for rainy days and boredom-busters. It had a special frame included just like this, so it was the whole package. there are many other design offered, such as rainbows, hearts, animal faces and flowers. This one includes a 6 by 6 inch mesh canvas piece, yarn, needle and instruction sheet and is recommended for kids age 5 and up. 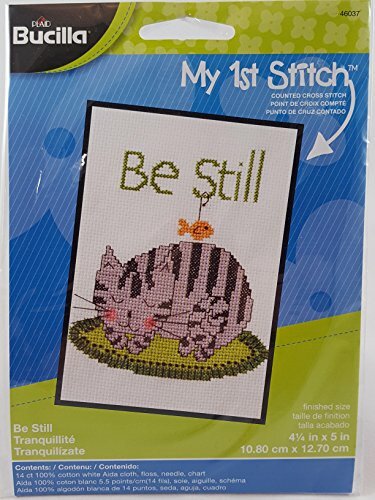 In other words, they’ll have everything they need to get started – all the designs are preprinted onto the mesh canvas, making it easier to start stitching in the right places and knowing when to change colors. 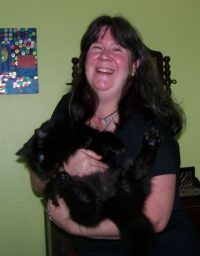 The size is smaller so it won’t be a long drawn-out project so much, and the yarn colors are bold and attention getting. Best of all when they get the hang of it more and more, they’ll be anxious to try more advanced sewing techniques one day and will have developed the dexterity and skill to do so, and maybe want to learn to sew with the machine and it won’t seem daunting anymore because your kids will have developed some mastery of the foundation too! The first cross-stitch project I had was a doorknob hanger…it had a cute picture of a cat, a rabbit and two heart shapes on it. At first I probably grappled with the act of getting the design part straight next to the background color, but then I did get the hang of it thanks to it being preprinted with the right colors. My life aside, needlepoint and cross-stitch are great craft techniques for kids because they help build eye/hand motor coordination, focus, and best of all, result in a pretty picture that can then be hung on the wall too! Plus, the materials are non-toxic and non-messy since what’s usually involved is yarn, a mesh canvas base and a special needle. I got my daughter a few simple ones last year, but it was too soon. She couldn’t get the hang of the concept. Maybe this year. True – your mileage may vary. Some youngsters are more dexterous than others and may pick it up easier. Ah, I can see this being a really fun activity for kids to get into. The kits should be really helpful! What a great idea! I remember doing these when I was a kid and I loved it. Might have to give a few of these as gifts this year. I really like this! It would make a great gift. I may even need to use this simple kit. Yep, there’s no age limit – it would be a good gateway to taking up the craft! Thread and needle are definitely not good friends with me. I tried, really. However, I love seeing cross stitched items. I think these will be a good craft for me too. A mom and daughter holiday project ? This one is cool, I like it for myself since I want to learn some crafts. And this one will work for me because its so easy to follow.